Display Lighting have been manufacturing bespoke variations of DPSLED luminaires for a number of years and the "gantry surround" configuration has proven to be one of the most popular. 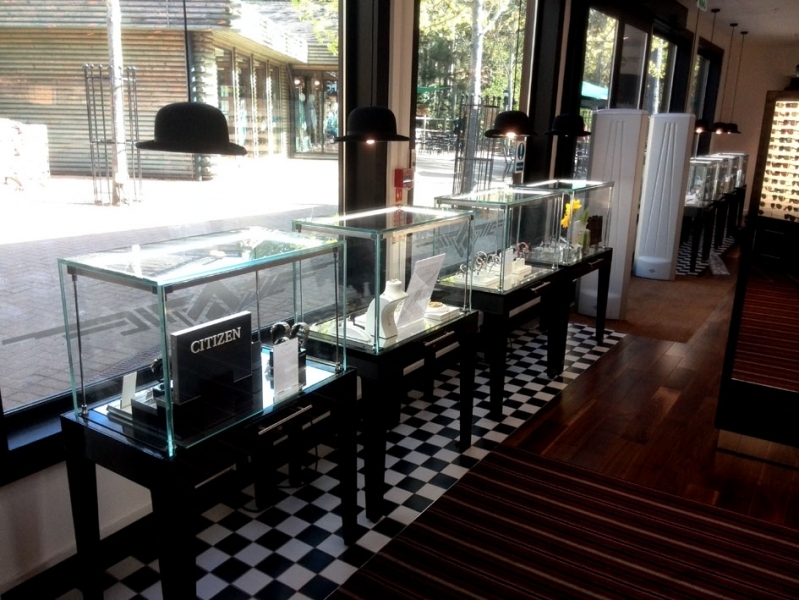 It is a perfect lighting solution for illuminating jewellery counter displays as well as any high end merchandise or museum artefact. Adds 'sparkle' to jewellery, watches and merchandise. Any width up to 2000mm. Any length up to 2000mm. Any height up to 1000mm. Clear (Full brightness), Opal (Reduced Dots) & White (No Dots) Diffusers. Low heat illumination, reducing heat emissions and heat build up in-store. No ultraviolet light so will not fade materials. Unobtrusive, sleek design offering uniform shadow-free illumination. Can reduce your energy bills by up to 80% (when compared to halogen/metal halide). Dimmable by Bluetooth, Triac or DALI. Build a gantry surround luminaire to your exact specification.